Any study of American slavery should convey its horrors, but also the numerous and varied ways African Americans resisted their enslavement — how they sought to maintain their humanity in a system that regarded them as nothing more than a unique form of property. An important document of resistance is the autobiographical Narrative of the Life of Frederick Douglass, published in 1845. In this book, conceived as a tool for the abolition movement, Douglass describes his life from slavery to escape to freedom. The lesson described here asks students to empathize with Douglass’ desperate confrontation with slave owners and their agents by drawing on their own experiences resisting those who would seek to control them. This is not to suggest any parity of oppression between slavery and students’ lack of independence. But our imaginative capacity is limited by our experience, and it’s that experience we must use as a resource if we’re to attempt to comprehend the lives of others. 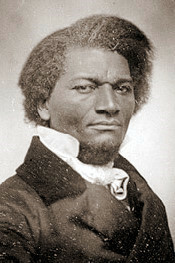 ▸ The Library of Congress offers Frederick Douglass’ papers online. Danny Glover reading Frederick Douglass’s speech on the 4th of July. This is one of many film clips that can be viewed online from Voices of a People’s History. Book – Non-fiction. By Frederick Douglass and essays by Angela Davis. 2009. 254 pages. 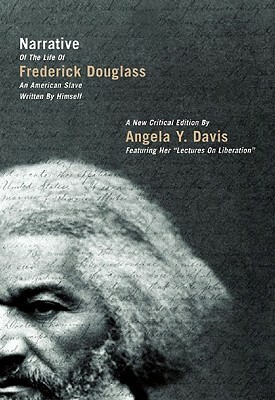 The classic biography of Frederick Douglass with an introduction and critical analysis by Angela Davis. I love everything about the zinned project and I hope that everyone has time to be on the zinned project. I only that it will continue and be heard about all around the world. 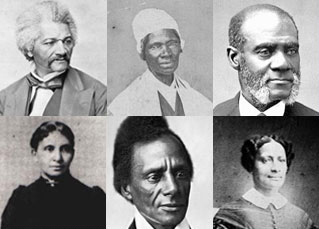 I would love to see material for elementary school children about Fredrick Douglass. Thank you.